Want to understand how cross-border business disputes are managed, why arbitration is greasing the wheels of multinational business operations, and how getting involved could enhance your legal career? Then this e-Book is for you! 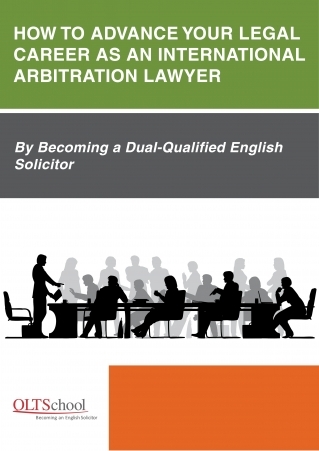 In this e-Book, we analyse the growth in arbitration for cross-border commercial disputes, discuss the factors that companies utilise when selecting arbitration lawyers, and show you how you could build a successful international arbitration practice. You’ll understand why becoming an English solicitor by taking the Qualified Lawyers Transfer Scheme (QLTS) will help you take your legal career to the next level. Enter your details to get a copy of the ebook. I would also like to schedule a free phone consultation with a QLTS advisor. By checking this box I agree to receive information from QLTS School in relation to becoming an English solicitor.